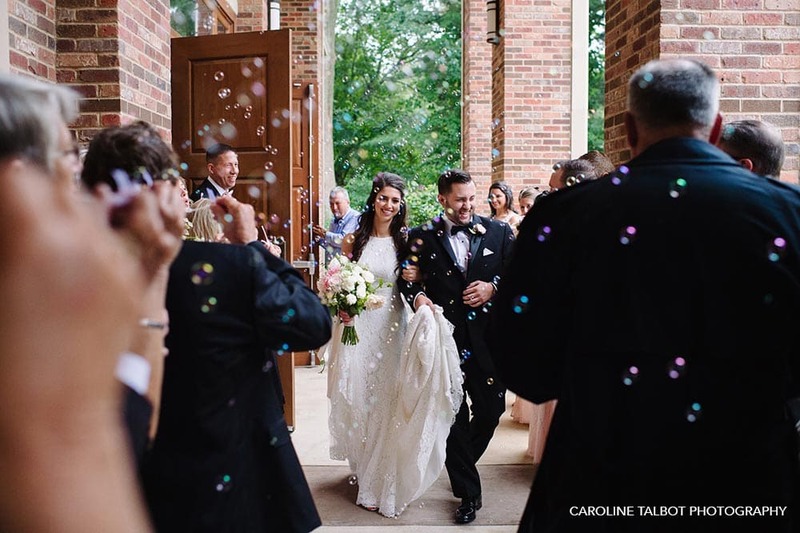 Jacqueline and Will got married at The Lenox in September 2017. 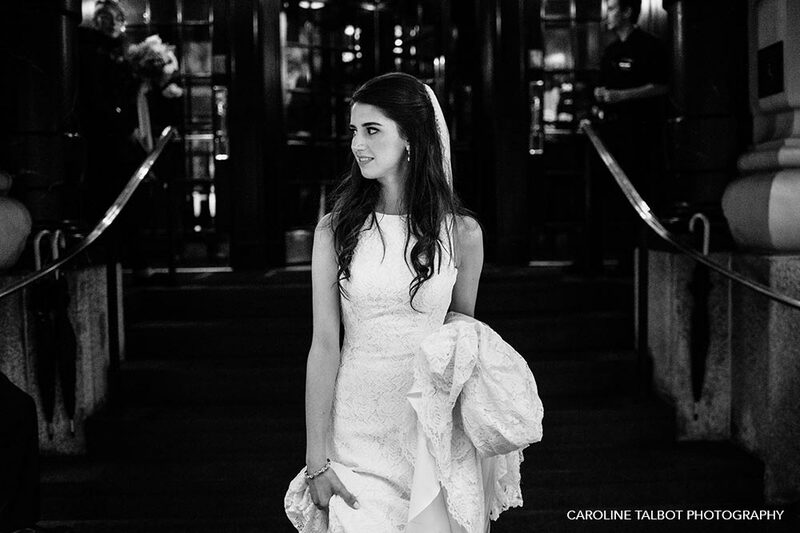 Now that Jacqueline has had some time to reflect on the big day, she shared all the most memorable moments with us! We first met in 2014, when I moved back home to Massachusetts and I started working at the same company as Will. Don’t worry, there were no broken HR rules. Given the fact that the company has over 150,000 employees, it was lucky that we met and developed a friendship. We remained friends for a long time, and as our relationship continued to grow we realized we were meant to be with each other. Will surprised me with a beautiful proposal at the Brant Point Lighthouse on Nantucket, and we began planning our wedding shortly after! 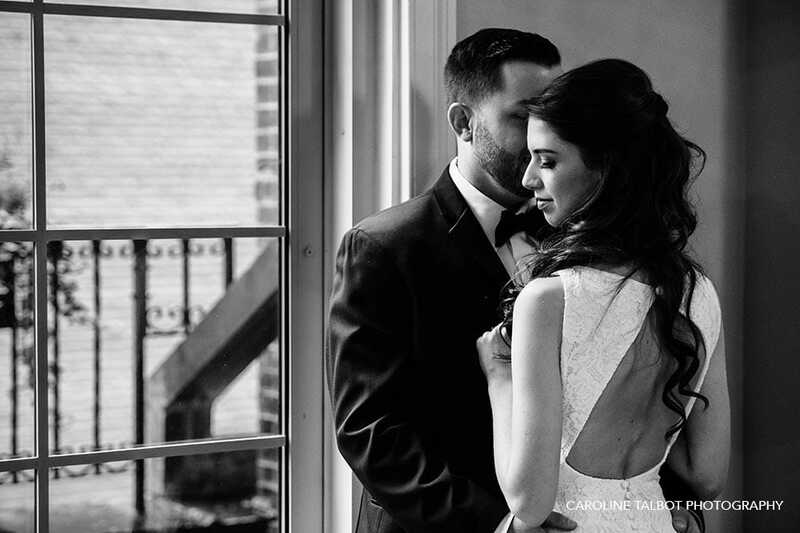 We felt it would be important to have a wedding in the city of Boston not only to represent our roots and strong connection to the city, but also because the location would be more convenient for many of our family members and guests coming from out of town. We looked at several venues in Boston, but as soon as we walked into The Lenox we knew we had rediscovered an absolute gem. We “rediscovered” it because my parents actually celebrated their first anniversary at The Lenox back in 1983. 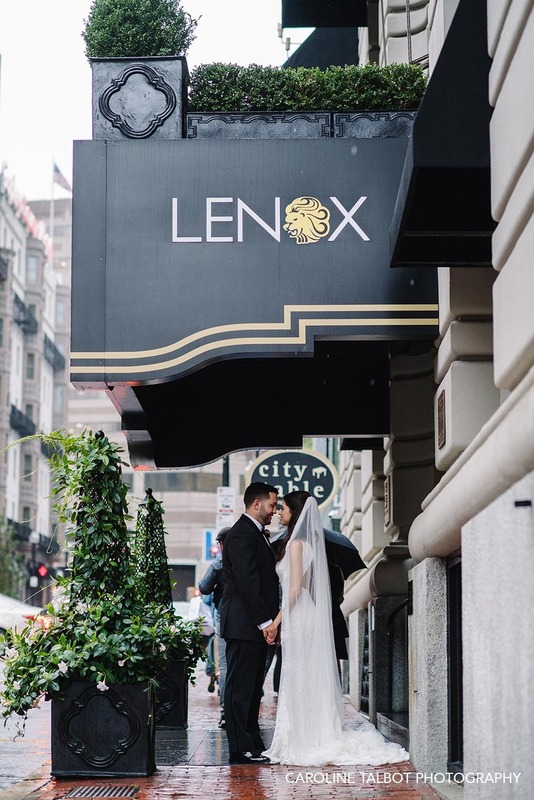 In addition to the sheer beauty of this boutique hotel, The Lenox surpassed all other venues in terms of their attention to detail, exquisite maintenance of the hotel, and the level of care and personal service we received. The welcome packet we received explaining all of the wedding package options was extremely straightforward and organized. We absolutely loved and appreciated how much was already included, from their partnership with Dessert Works Bakery for the cake, to the table numbers, and even the card box. All of the little details were taken care of! It was an absolute pleasure to work with all of the staff, but especially Taylor Marshall, who was there to answer all of our questions whether in person, on the phone, or over email. 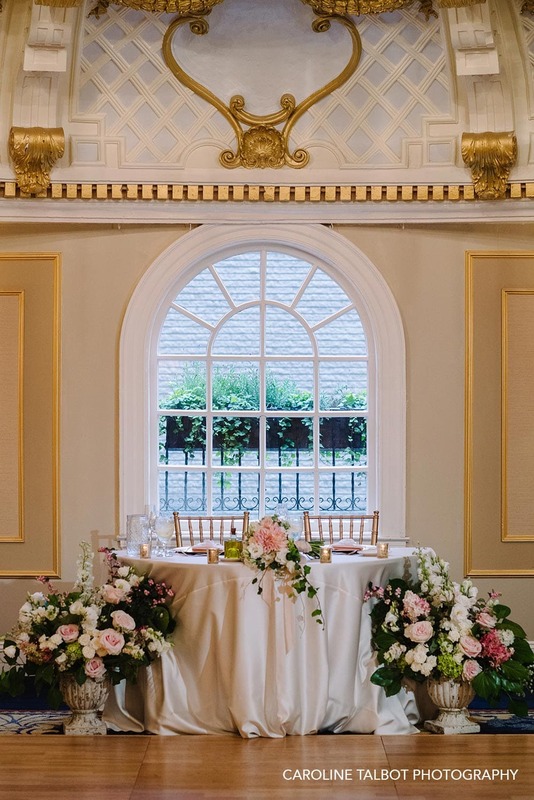 Our guests were floored by the beauty and ambiance of the venue, the lovely rooms, the gorgeous Dome Room where our reception took place, and people are even still raving about the food they ate at our wedding! 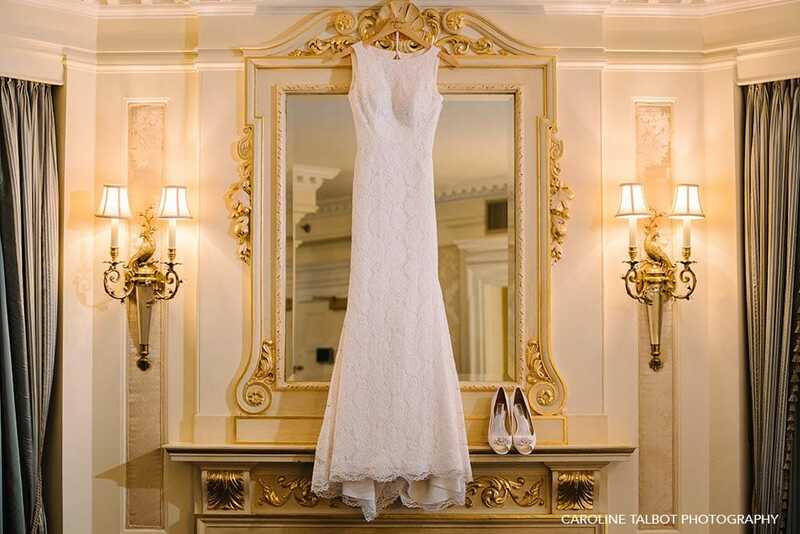 Favorite Moments From Your Wedding Day? We had so many favorite moments from our wedding day. 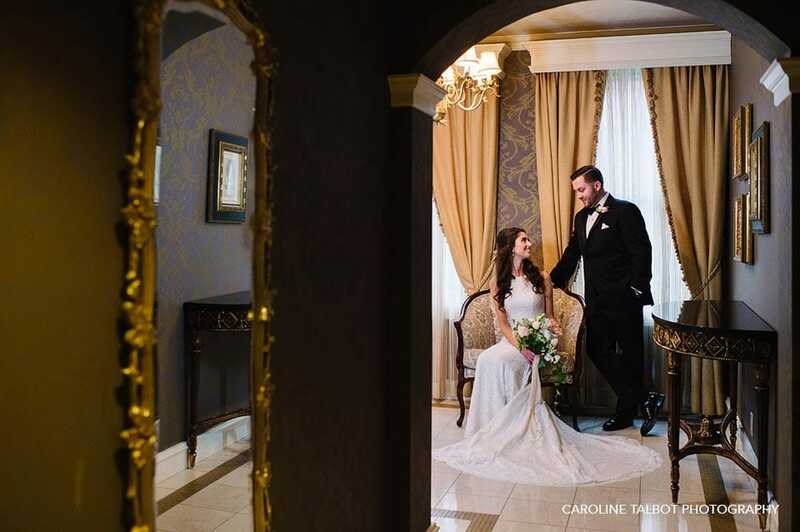 We treasure our beautiful Greek Orthodox ceremony and will never forget it. A fun and lively moment during the reception was when the Greek line dancing spilled out of the ballroom into the hallway of the hotel and back again. 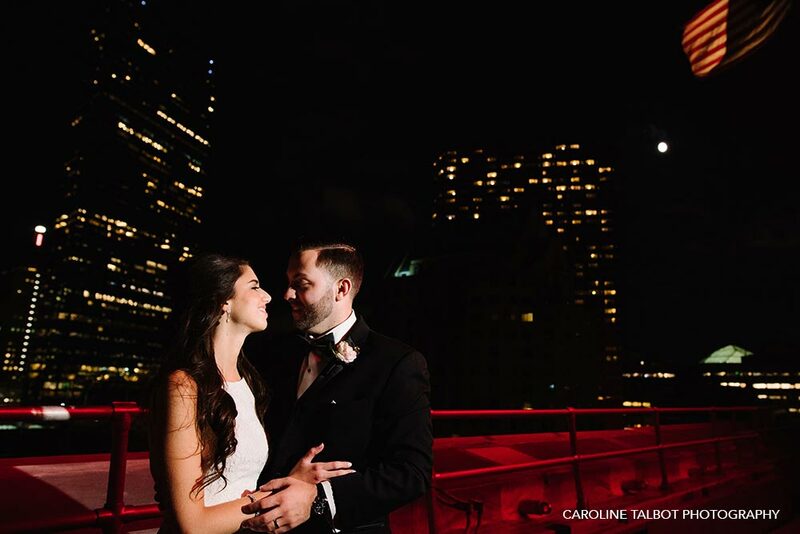 Also, we had a rainy day thanks to Hurricane Harvey, but the rain let up just long enough that we were able to sneak up to the rooftop of The Lenox to snap a few photos later in the night and take in the gorgeous city view. The photos do not do the roof justice. The view from the top is incredible, and we felt like we were on top of the world. It was a very special moment. When it comes to choosing a venue, pick one that is organized, responsive, and attentive to your ideas and requests. If you do that, there is much less to worry about knowing you are in good hands, and you can just relax, take everything in, and most of all enjoy yourselves on your wedding day! The day goes by in a flash, so make sure you set aside some time to soak it all in and be in the moment.